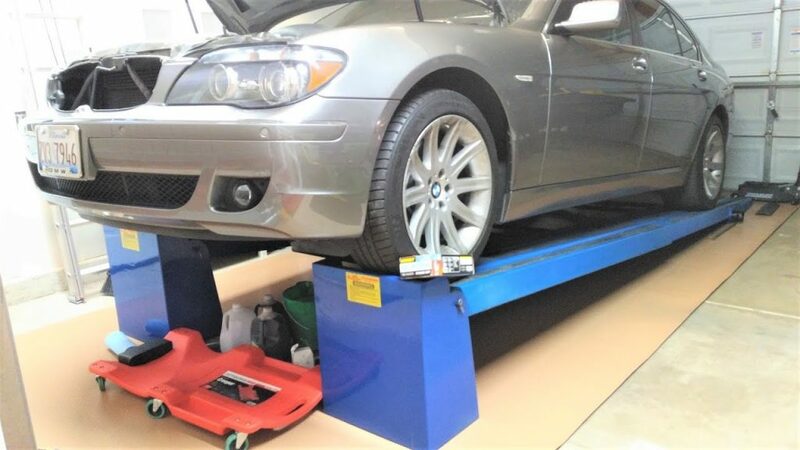 If you are getting that transmission malfunction / transmission fault message on your BMW Jaguar (gearbox fault gear box failure) Range Rover Ford or Hyundai then this web site is dedicated entirely to fixing that issue. That is the same message that I got on my BMW 750li 2006 e65 e66 with just 32,000 miles the next day after the purchase. My transmission is 6hp26 pretty much the same as 6hp28 6hp32 , and has similar structure to 6hp19 6hp21 gearbox. 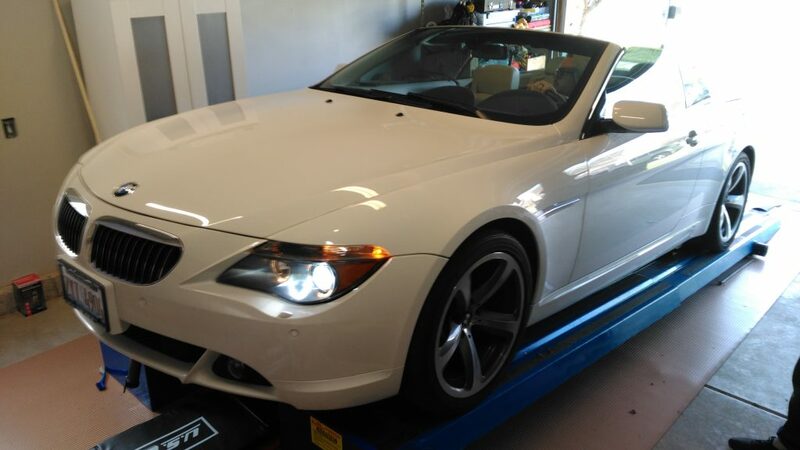 Very soon I was at one of the Chicago land BMW dealers paying $1400+ for “trying” to fix it, dealer dropped the oil pan, replaced the mechatronic adapter seal and installed a new oil filter/pan and put a proper amount of ZF Lifeguard 6 transmission fluid in to the gear box and told me that everything is fine. The next day I got the same message. I went back to the dealer and they quoted me $1100+ just for trying to locate what the problem is, they said that is the minimum that they will charge me. Since I was already down $1400 I figured it is time for me to try and fix it myself. I made a detailed video and posted it on youtube on how I fixed it so you can fix it yourself / do it yourself. The link should be available below. If you are in Chicago land you can rent my garage/ my lift /my tools for the weekend for $200 total and fix it yourself. When it comes to parts here is the list of all the parts that are REQUIRED and NOT REQUIRED but advisable for you to have prior to getting under your car. To be 100% sure that this is your problem, simply warm up the car, drive for 30-45-50 minutes. 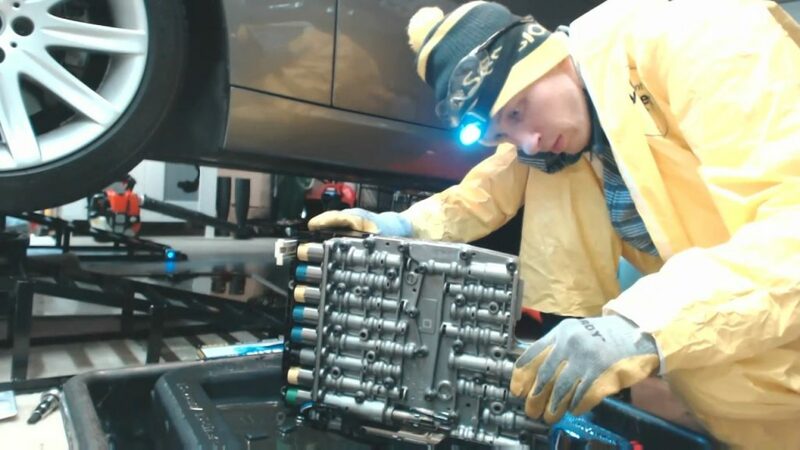 You have to warm up the car because the cracked plastic at the mechatronic / mekhatronik bridge seal becomes more loose and rubber around the plastic starts to leak oil and does not build as much pressure when the oil is warm. Then after driving 30+min find an incline that is 20+% grade like a driveway, drive nose forward onto the incline the front of the car should be higher than the back, at least 20-30% incline. Then while you on that incline, preferably a driveway put your car into R reverse see if it engages, drive in reverse for a few seconds, then put the car into D, see if it engages driver forward, do this a few times, then try to cycle from R to P from P to D from D to P etc… See if you car starts to have issues, basically if the message will come up during that time then this is exactly the problem I am talking about. If instead of going in reverse when you put in R it goes forward, or vise versa then again it is exactly the same issue. If you need to restart the car for the message to go away again it is the problem I am talking about. If you can’t get out of Park without restarting your car then again it is all the same problem with the mechatronic bridge seal. The root cause of the problem is the part that looks like the one below. It is called a Mechatronic Bridge Seal adapter. 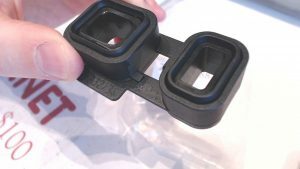 The problem with the part is that it is made of plastic and a piece of rubber. The plastic eventually cracks, ones the plastic cracks the oil pressure is not sufficient to be transferred from mechatronic unit to the transmission itself. 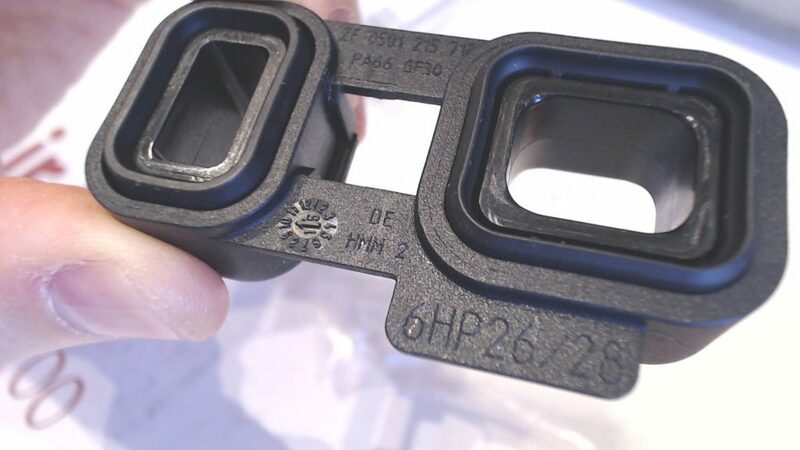 That Mechatronic bridge seal cracks all the time on all 6hp26 6hp28 6hp32 and same design different part number for (6hp19 6hp21). 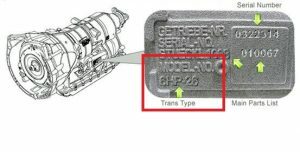 The zf transmission 6hp26 6hp28 6hp32 6hp34 6hp19 6hp21 was put on many different BMW, Range Rovers, Land Rovers, Jaguars, Hyundai, Ford, Bentley, Aston Martin, Rolls Royce the more exhaustive list is below. 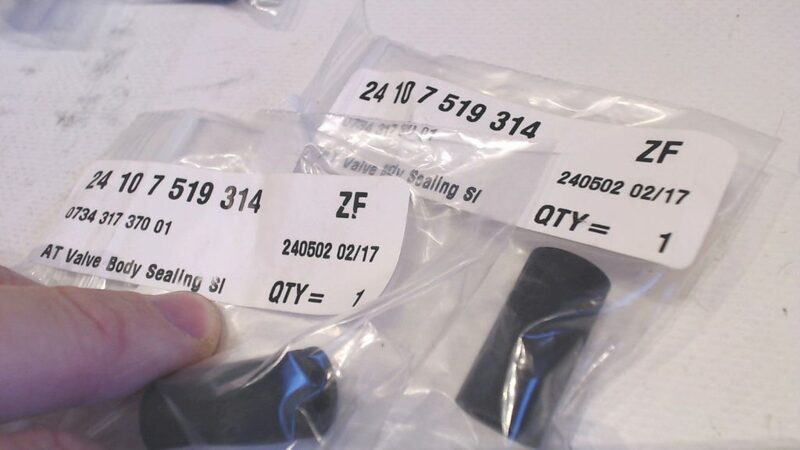 The reason I said the only part they would replace because that what it says in the bulletin for BMW when the car comes for the warranty, CPO non BMW warranty usually does not cover this kind of repair. 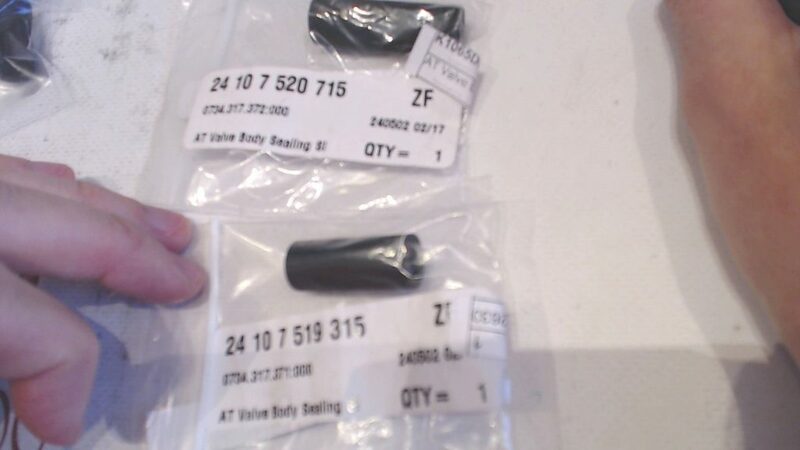 Besides being made of plastic and rubber, the REAL reason why this part breaks, are the 4 other seals that nobody usually replaces anywhere, not BMW dealer, not independent mechanics, nobody, BUT if you don’t replace them in about 10,000 you will get exactly the same problem, and you will have to repeat the service. 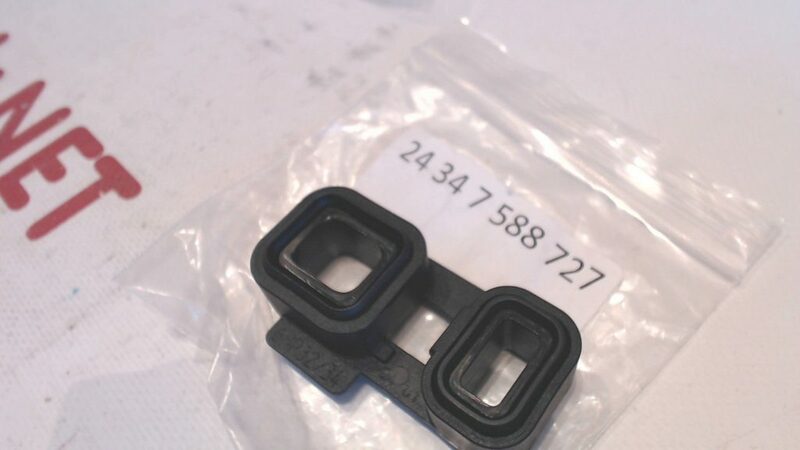 The part that you also HAVE TO or NEED to replace while you are replacing the Mechatronic bridge Seal Adapter are the 4 tube seals that are hard to find but are for sale. These 4 tubes provide a kind of vibration dampening for the mechatronic unit that attaches to the transmission, over time these 4 tubes sink into the transmission and become flush with the transmission, and that causes the Mechatronic Bridge seal to be under more stress and thus causing the failure. Now, one other part you will also need is the Mechatronic Sealing Sleeve (that is the one I got charged $1400 for replacing), I don’t feel very bright about it and have a slight feeling of being ripped off. Now here is where you can either “SAVE” a lot or not. In theory you can put the old transmission fluid back into transmission if you are about to sell the car, or you can buy about $300 worth of new ZF transmission fluid (as I did to my car). Or you can save a ton by buying 9-10 liters of Ford Mercon SP fluid that in theory exactly the same as ZF transmission and save $200+ instead of buying the new ZF lifeguard. So if you going to be my client, instead of putting the old transmission fluid back in, and not having enough $ to put a new ZF transmission lifeguard 6 in, at least spend some $ on Ford Mercon SP fluid. It will be a proper repair. In regards to OIL PAN / filter. The OEM oil Pan/Filter cost around $140. 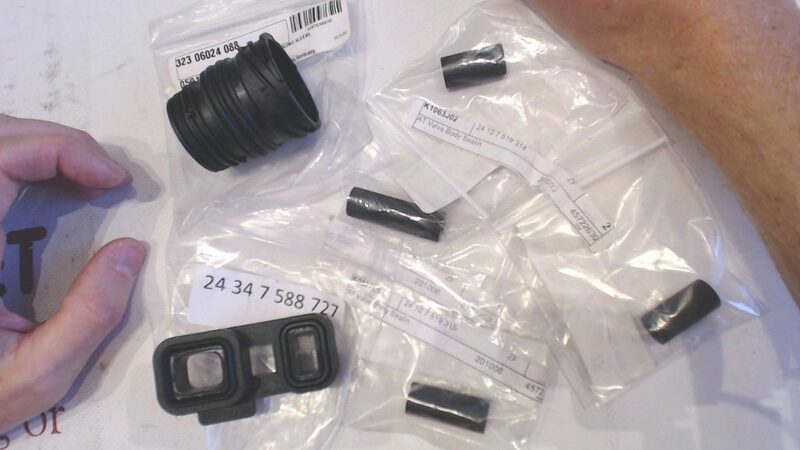 If you decide to put a new filter/pan, the reason I write pan/filter because it is ALL IN ONE, filter and PAN in one, there are some sellers that sell just the filter but there is no way to install just the filter into the pan, you don’t have to but it is advisable to put a new filter/pan into your transmission. Aftermarket oil pan/filters could be found for about $40, aftermarket one might leak oil after the repair. If any of that been helpful please leave a like on my videos. If you are in Chicago land simply bring your car over to my garage in Fox Lake, IL and I can take care of it over the weekend, please bring all the parts as well. You can help if you want. Also if you want to do the repair yourself, you can rent my lift and all of my tools / equipment for the weekend for $200 total, you can start Friday evening, and have to finish by Sunday evening. Make sure to have all the parts with you. Total dealer charge for this kind of repair is about $2700 without new oil, without new filter (that is in Chicago land), could me more or less elsewhere. Keep in mind not to over tighten the bolts otherwise the plastic seal will crack. However, I advise all of my clients to come back in 2 weeks so I could check that there is no oil leaking from any of the bolts, not tightening enough will cause hot oil to go through the seal, usually the problem with aftermarket pans. Wear gloves with the plastic knuckle cover otherwise you will burn your knuckles while closing down the filler plug. When putting the mechatronic unit back into the transmission MAKE SURE the parking break lever is in proper position and fits the hole, it is hard to see if there is not enough light. 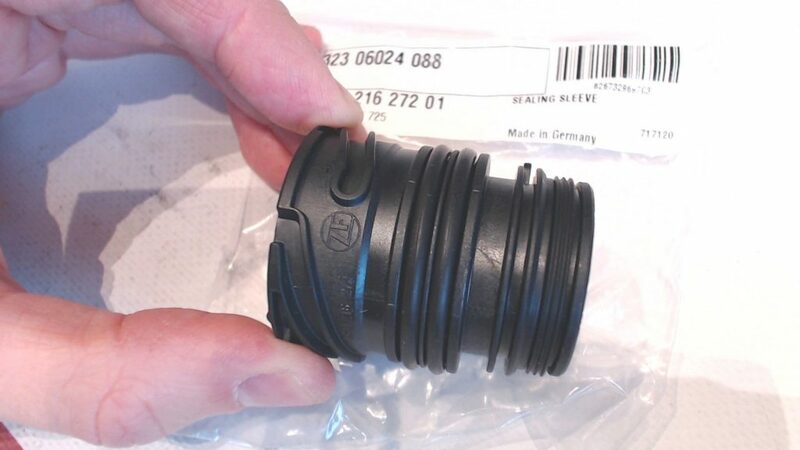 The sealing sleeve should fit tight so that the lever on the bottom would close properly. If you won’t close it properly the oil will leak from the back of the mekhatronic sleeve. Below are some messages and models where this problem is common. Don’t replace your transmission yet if you have any of the cars below, try just replacing the bridge seal adapter. 6HP28: Transmission Repair Kit same as Above 6hp26. 6hp26X Kit is same as above for all wheel drive with external gear box.